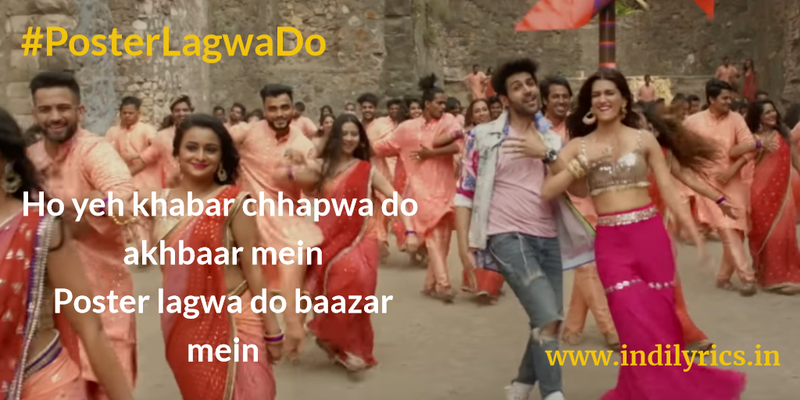 Poster Lagwa Do Full Song Lyrics with English Translation and Real Meaning Explanation from upcoming Bollywood movie Luka Chuppi, the groovy track is composed and penned by White Noise Studios while Mika Singh & Sunanda Sharma sang this song, The music is available on T-Series. The upcoming Movie Luka Chippi stars Kartik Aaryan & Kriti Sanon in lead roles with Pankaj Tripathi, Aparshakti Khurrana & Vinay Pathak in other significant roles. The audio mp3 version of Poster Lagwa Do is free to download and stream from Gaana, JioSaavn, Wynk Music and other online music portals. Everyone might know about us, so what? Why are you stressing so much?